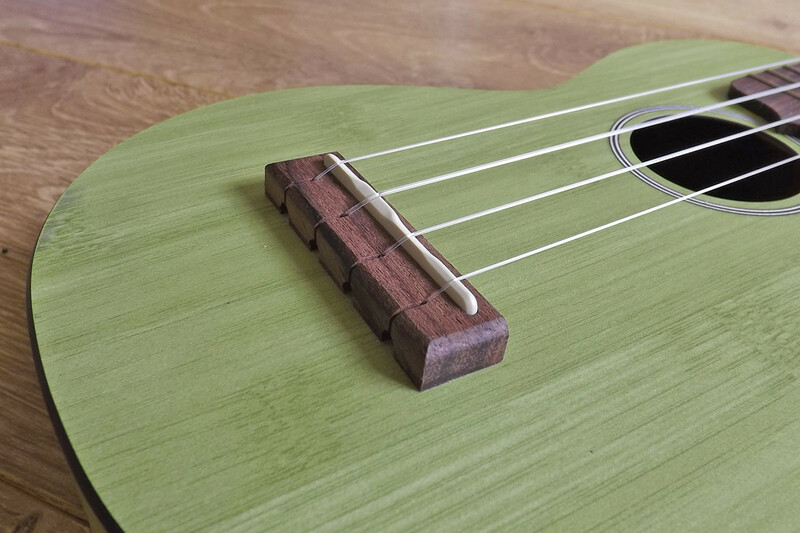 The Martin OX Uke is Martin’s effort at a more entry level ukulele. Obviously Martin have a certain reputation and come with a certain price tag. This is Martin’s attempt to bring their ukuleles to those that don’t necessarily want to spend thousands on an instrument. 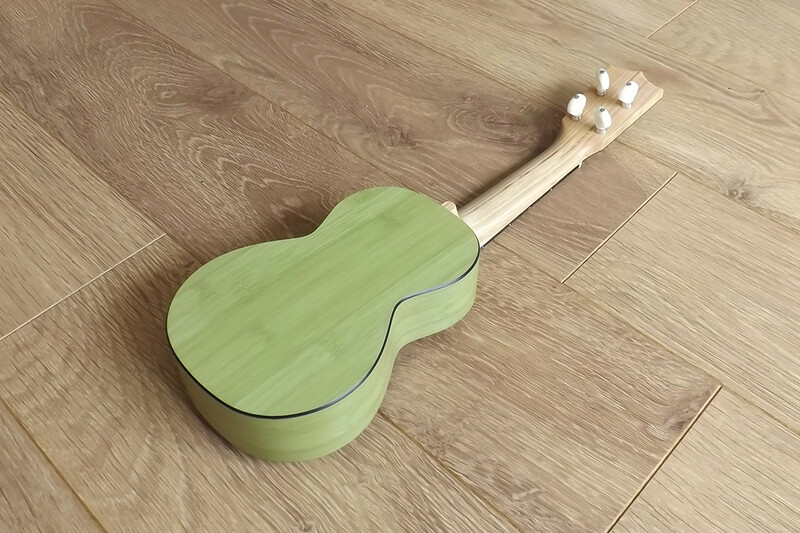 It’s a laminate soprano ukulele with 17 frets, grover friction tuners, a bamboo body and a rosewood fingerboard and bridge. The nut and saddle are made from tusk. It retails at around $450 and is available to buy now. Hands down this is the most meticulously finished ukulele that I’ve ever played. It’s simply flawless. The finish is of such a high quality that it’s hard to pick out one element that stands out above the others. 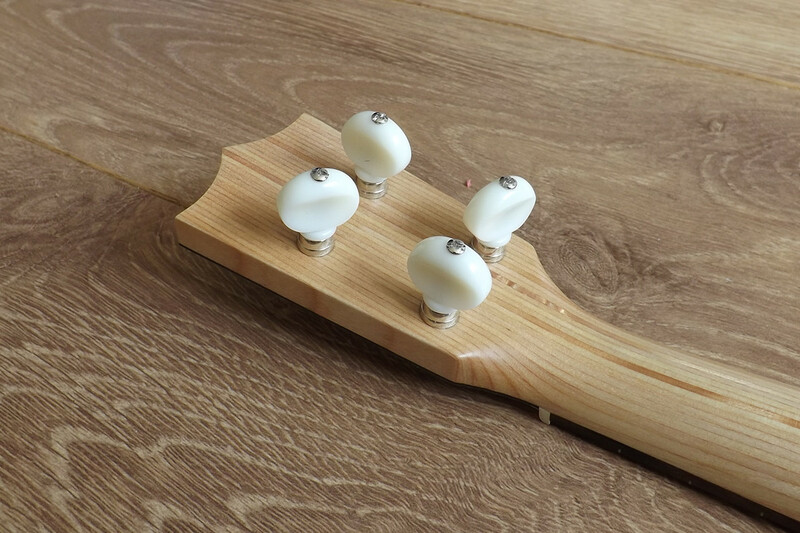 The fingerboard feels fantastic, the whole uke is really nice to hold – solid without being too heavy. I’ve mentioned before that I’m a fan of friction tuners. It’s a personal thing but I like the way they look and I actually prefer using them to tune with too. Somehow I feel a little bit more connected to my ukulele with friction tuners. The grover nickel tuners here look and feel great. One thing that I really do like though is the back of the neck. It’s made of birch laminate and looks stunning. Hopefully the photos that I have taken go some way to showing that. 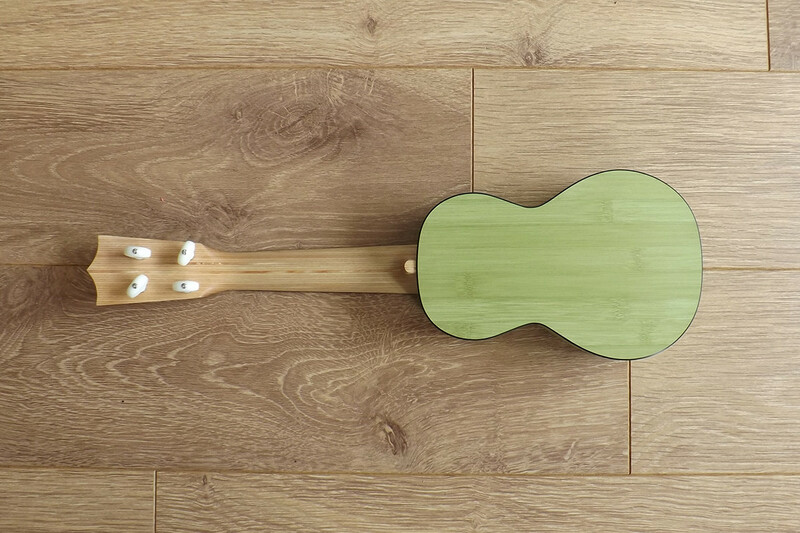 The ukulele that was loaned to me was a strange pea green colour which I have to say I wasn’t a huge fan of. The bamboo pattern comes through nicely on the top and back though but I’m sure it will appeal to some. It wasn’t just the finish that impressed me on the one, I really like the sound too. It comes with Martin’s own fluorocarbon strings which I’ve never tried before but on the strength of the sound here I was impressed. 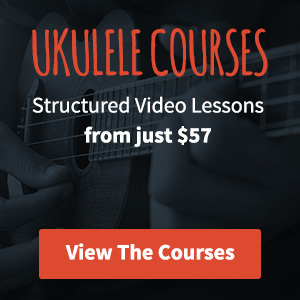 I’d definitely give them a try on another ukulele at some point. Describing sound is always a bit of a strange thing, what sounds one way to one person will be different to another but I found it to be a really rounded sound that I really enjoyed playing. In fact, during the time that I had this ukulele on loan, I didn’t play any of my own. At $450 or thereabouts it’s definitely an expensive laminate ukulele but it is a Martin. Aside from the colour I couldn’t fault it at all, I really like the feel and it’s got a great sound. I’m just not convinced that if I had $450 in my pocket my head wouldn’t be turned by something of the solid variety. 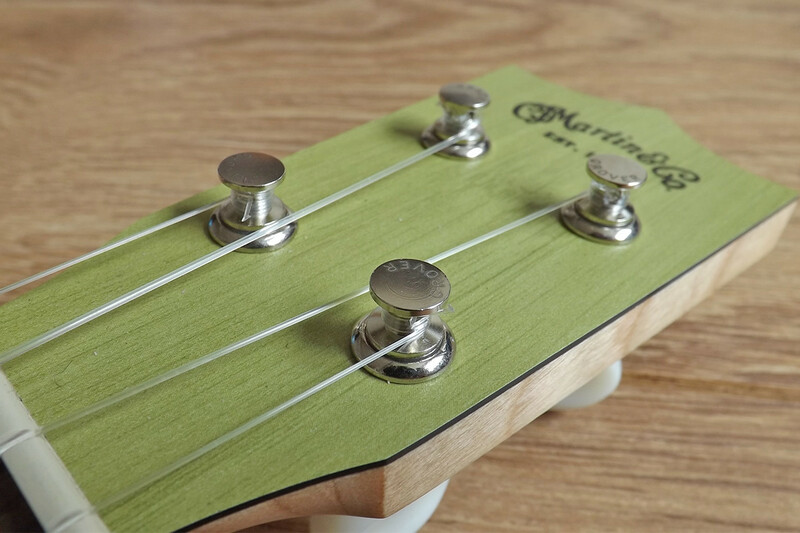 It probably comes down to whether you want to own a Martin or not. Do we know the price and availability in the UK? I kind of like the green, but probably not enough to buy it -I prefer a classic look. I’ve tried the 0XK and the S1 and I’m surprised the tiny bit wider (1/32″) than standard nut is noticeable and more comfortable to play. If I was shopping at this price point I’d be inclined to spend the extra $80 on the all solid mahogany S1. I recall the S1 felt lighter too. I do like the simpler look of the 0X’s though. Having said all that, I like the idea of owning a Martin more than the actual experience. It’s nice, but not nice enough to make me spend that much money. Hey Glenn, I’m of a similar opinion here – nice but I just can’t justify the money. I have a “Little Martin” LXM laminate guitar in my collection. It’s really nice for what it is, but I still prefer my solid Martin Dreadnought. I’m sure I’d feel the same about this ukulele.